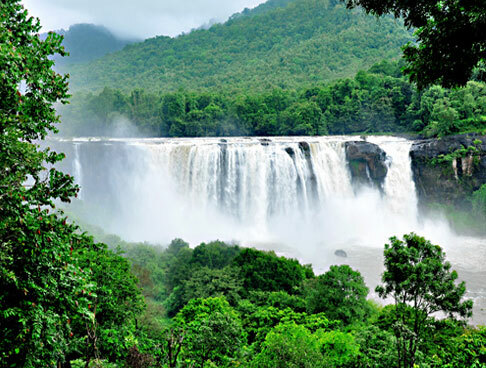 After you arrive in Bangalore, our tour helps you with an assisted on-road transfer to the cultural capital of Karnataka, Mysore. Upon arrival, complete the check-in formalities. Later in the afternoon, get ready to visit the prime tourist attractions of Mysore, the second largest city of Karnataka, also famed as the 'Palace City of India'. The first visit of the day is to the magnificent Mysore Palace, also known as Amba Vilas Palace. Seat and official residence of the formal royalty of Mysore- the Wodeyars, this palace is a mix of Muslim, Rajput, Hindu and Gothic architecture styles. Next you explore the Chamundi Hills to enjoy a nice view of the surroundings. If you are an art aficionado, do visit the art galleries, housing an amazing display of paintings, musical instruments, artifacts and more. If time permits, you can visit the lush well-maintained Brindavan Gardens, known for its musical colorful fountains. Overnight stay. Start your day early today. 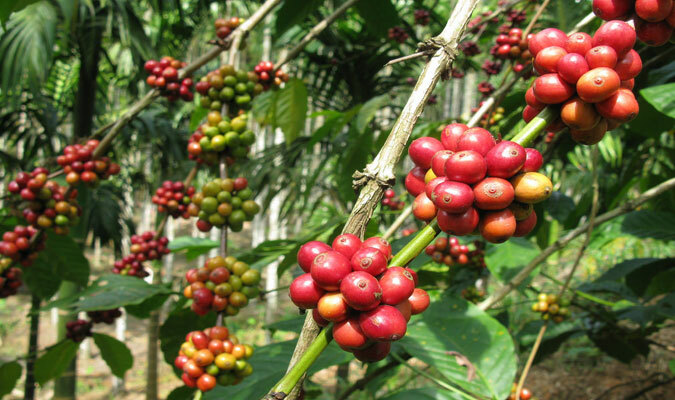 After breakfast, begin driving for the lush hill station of Coorg/Kodagu. 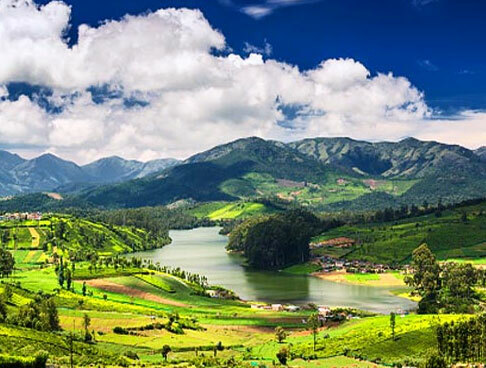 Referred to as the Scotland of East, Coorg has been presented with tranquil environment, pleasant climate, wonderful hills, lush aromatic spice plantation and more, making it a popular hill town. 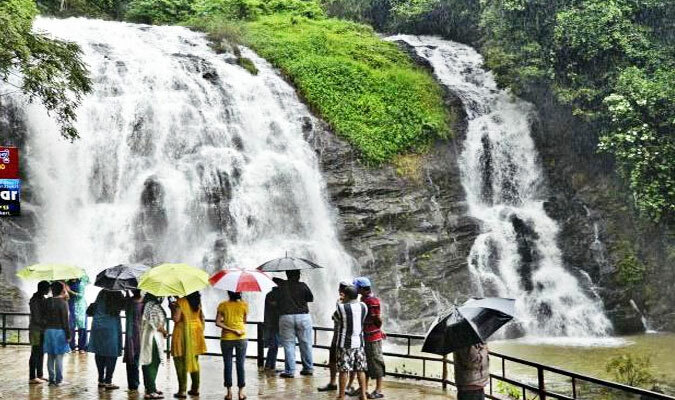 As you arrive, embark on a tour of the attractions in Coorg including Abbey Falls, Raja's Seat, Madikeri Fort, Bhaganmandala, and so on. This place excellent adventure sports opportunities. Take a walk in the plantations. At night, check-in at the hotel for overnight stay. 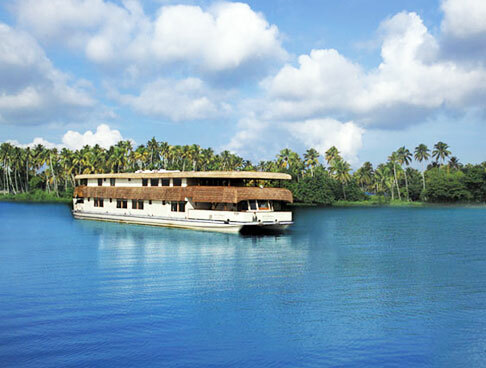 On the 3rd day of the tour, have your breakfast and complete the check-out formalities and start driving to Wayanad. 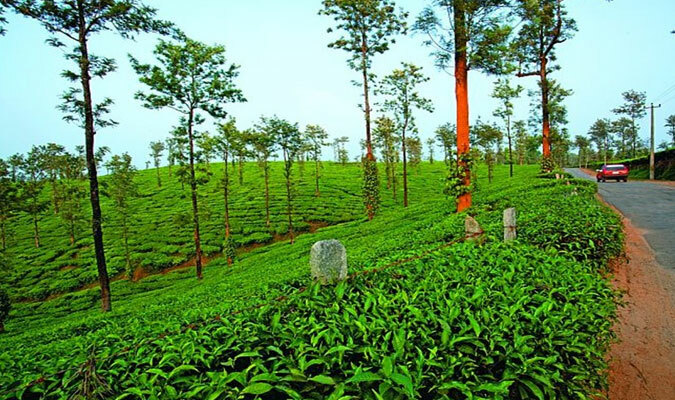 Placed on the mighty Western Ghats, Wayanad is an enchanting destination that boasts of natural beauty, verdant greenery and scenic spots in abundance. As you arrive, check-in at the hotel. After the check-in formalities, you are free to explore the place on your own. You can embark on a leisure walk and soak-in the fresh air to refresh all your senses. The place is still untouched by modernity. Stay overnight. 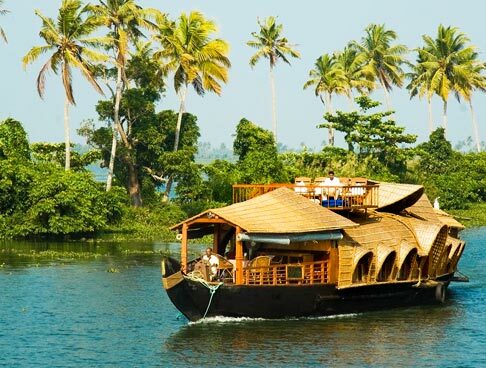 Post breakfast on day 4, get all set to explore the beautiful hill station of Wayanad. Leave the hotel room for visiting the very popular Chain Tree- this huge Ficus tree is the official tree of Bangkok. Spot various avifauna species here that gorge on the fruit of this tree. 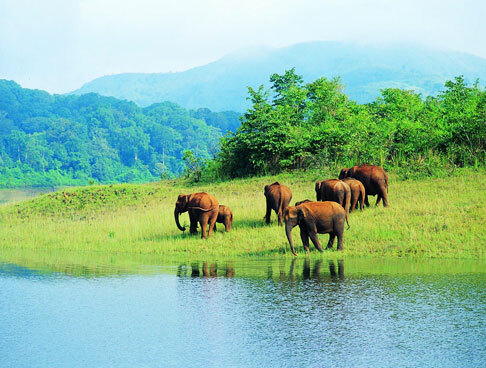 This prime Wayanad attraction has a story behind it. After this, continue to Neelimala viewpoint, very close to Meenmutty Falls. From this viewpoint, treat your eyes to the panoramic views of the valley. 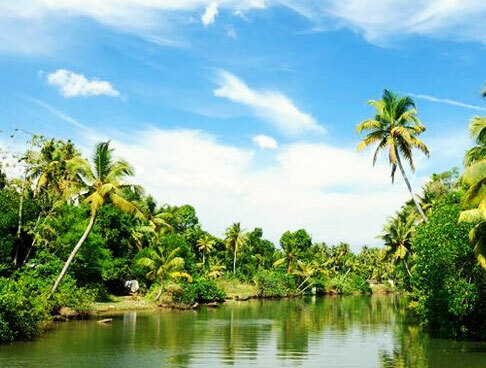 The next attraction is Sultan Bathery- a town deriving its name from the king Tipu Sultan. Do not miss visiting the Jain temples here. 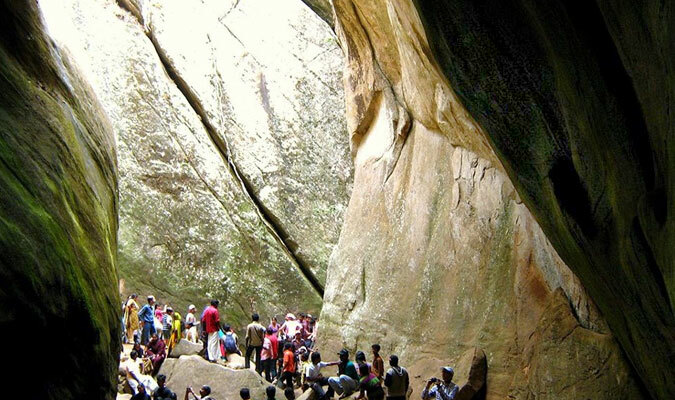 The last visit of the day is to the Edakkal Caves- 2 natural caves with Stone Age carvings. 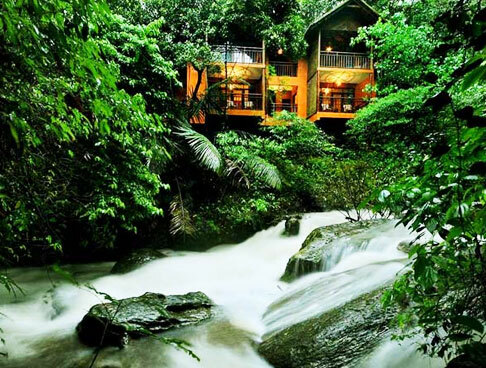 Overnight in Wayanad. Today is the last day of Gems of South tour. After relishing sumptuous breakfast, get transferred to Calicut railway station/airport for your onward journey.